Tonight at the Richmond City Council Meeting, the first of 2015, things got off to a fabulous start through organization from members of Black Action Now and Justice RVA. They coordinated a #BlackLivesMatter action at the meeting which had participants from the Wingnut Anarchist Collective, the Nest Collective, Flying Brick Library, Collective X, Defenders of Freedom Justice and Equality, the Sierra Club, Food Not Bombs, Bainbridge Collective, and many more groups we are likely forgetting to name here, apologies yall. During the public comments section, multiple folks got up to speak including Rebecca Keel, London Perry, Kendyl Crawford, and Vanessa Coleman (sorry if spelling errors please get in touch if you want changes here yall). They presented a list of grievances and then demands on City Council. We posted a picture of those in a previous blog entry. They promise that if the demands are not met by City Council, we will protest, boycott and disrupt the 2015 UCI Road World Championship Bike Races when they come to Richmond in September. Whoever came up with that ultimatum for the demands was exactly the fire we need in Richmond to push our movements for justice forward. This list is pretty intersectional and awesome. Thanks so much to the folks in the Black Caucus at the Virginia People’s Assembly and others who put this together. Now it is up to all of us to hold the government to it. It’s going to be a fun time. After the Consent agenda there was a period of text blasting at 6:45 to the City Council members on twitter. Then a little before 7, everyone started singing Amazing Grace, then chanting ‘there aint no power like the power of the people cause the power of the people don’t stop’. There were signs and banners and a few other chants then we left the room. We returned later to shout ‘ we told you we’d be back’. If you haven’t been participating, tune in, catch up, and come out and join us. There are several more events for the #blacklivesmatter campaign this week which we have previously posted about on our website. Aside from that, come to City Council meetings, come to events at collectives around the City, and keep talking to your friends, family, and neighbor. It’s our city, and we are making it a better place. Tonight’s protest, which seemed to be primarily organized by women of color, against the racist system that let off the NYPD cop who killed Eric Garner took place at 10pm. The march left the VCU compass, and took Harrison to West Grace, then to Ryland. 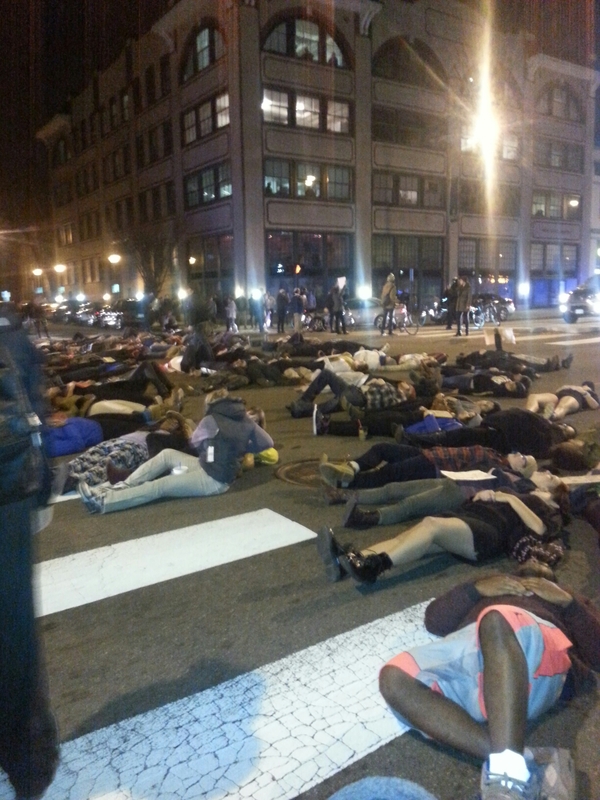 At Ryland and Broad an 11 minute die in took place to symbolize the 11 times Eric Garner said “I can’t breathe” while being choked to death. Then the march went down Broad, stopping in the middle of a block to listen to the organizers speak on the epidemic of police murders of black people (every 28 hours), about how the system is not broken but designed in this racist manner, and how solidarity and speaking out against these grave injustices is important – even vital for black lives. The march then proceeded to Broad and Belvidere where protesters held the intersection for almost a full hour before dispersing. Some protesters bought water bottles to pass out amongst the crowd. Some of the cheers included – “I can’t breathe, we’ve got to fight back”? “Black lives matter”, and “for Eric Garner and Mike Brown shut it down” (forgive us we are tired and are not recalling the last one correctly). 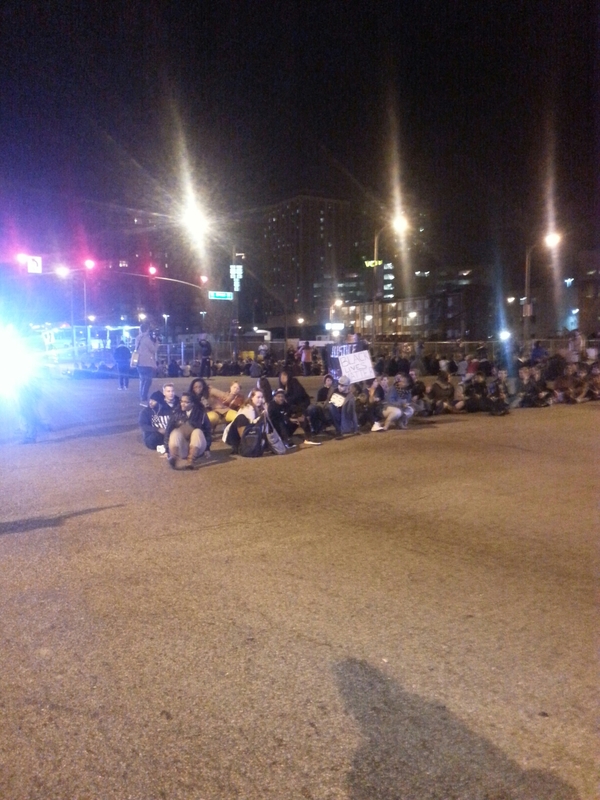 Richmond police blocked the roads but there were no arrests to our knowledge. 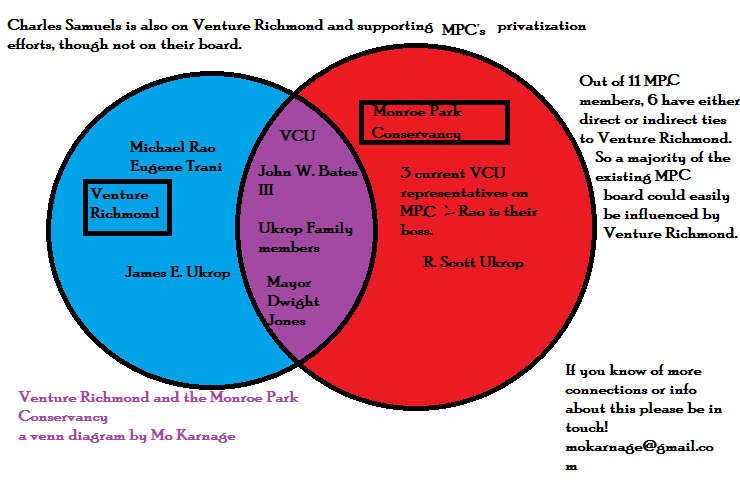 For folks who are unclear about the connection between Venture Richmond and the Monroe Park Conservancy (previously MPAC) and their efforts to privatize Monroe Park. 9 out of 11 MPC members are either on Venture Richmond’s board or related to someone on the board or have a board member as their boss…. All 3 city reps on the Conservancy are from the Mayor’s administration and closely tied to him as well as under his thumb. Fixed error or previous image to call the Monroe Park Gentrifying Committee by their current moniker, the Monroe Park Conservancy. We’re not sure if it counts as a conspiracy if it is so blatant and public. 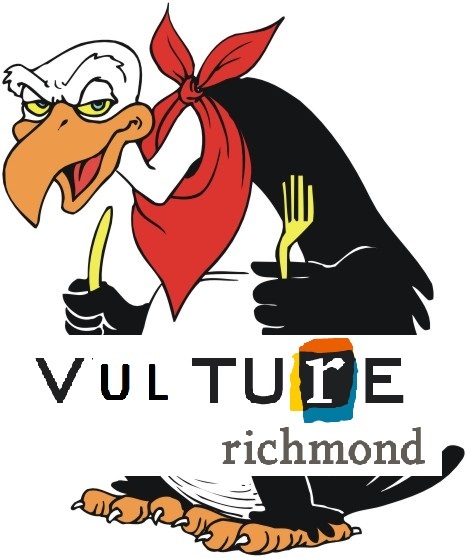 But anyways, it is time for everyone in the Richmond area to take a closer look at Vulture (Venture) Richmond, who is involved, and what they are pushing in this city. We are posting the entire list of their Board of Directors, taken from their website, below. We are also teasing out some of the obvious connections between these people are various icky things happening in Richmond and conflicts of interest. But please take a look at the list and see if you can pull out some connections of your own. We would love to hear em. Basically though, Venture Richmond is closely connected to local media, City council members, the privatization of Monroe park, the Revitalize RVA plan, and attempts to get their own Tax exemptions. All the struggles are connected, and Venture Richmond just highlights the intensity of intersectionality in Richmond right now. John W. Bates III of McGuireWoods is on the Venture Richmond Board AND is on the Monroe Park Conservancy as one of the 4 citizen representatives. Not that citizens in Richmond had any say regarding the creation of the Monroe Park Conservancy, the renovation plans, the idea of considering privatizing Monroe Park, or how many and what type of citizen might represent citizens on the board. From local politicians, we have Mayor Dwight Jones, City Councilman and Council President Charles Samuels, and City Councilwoman and Council Vice President Ellen Robertson. So not only is the Mayor involved in this massive conflict of interest, but so are 2 out of the 9 City Council Members. It would seem only fair that they would be not allowed to participate in any votes regarding projects Venture Richmond is working on. From local media we have Thomas Silvestri, the President and publisher of the Richmond Times-Dispatch, which seems like a potential conflict of interest in the news coverage of local issues by the paper. Sounds like the news coverage of Venture Richmond in the paper is about as fair and balanced as Fox news. James E. Ukrop, the Principal, New Richmond Ventures, is on Venture Richmond’s board, and his relative is R. Scott Ukrop, who is also one of the 4 citizen members of the Monroe Park Conservancy. The 3rd Food Not Bombs Rotational Hosting meeting will be on Friday September 6th at 10am – The location hasn’t been announced yet, though it seems likely it will be at the VCU Library like the last 2 were. We will post an update when we hear what the location is. 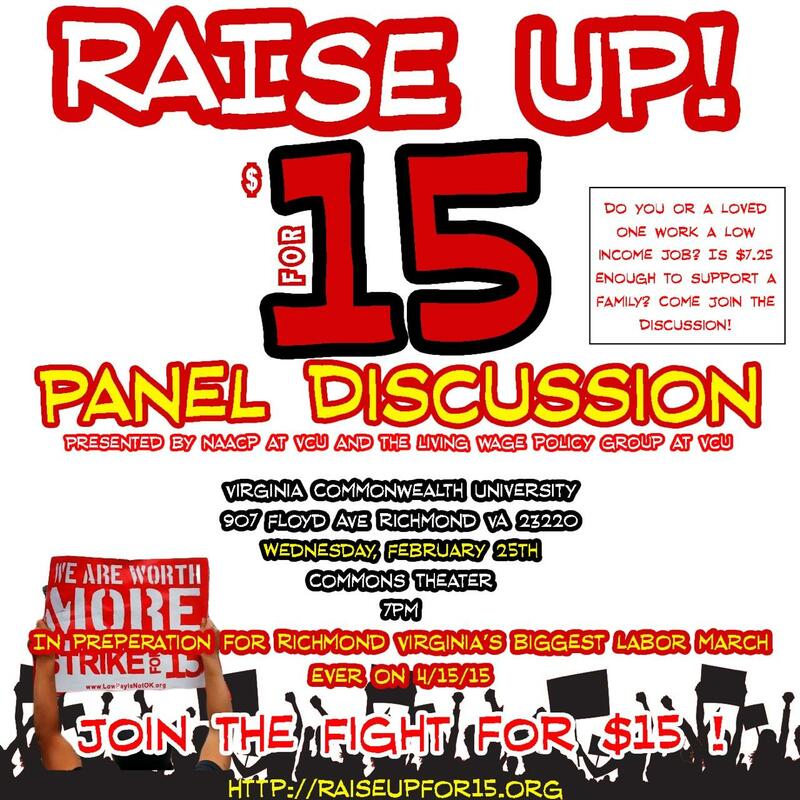 UPDATE: VCU library room 152 will be the location of the meeting. The purpose of this meeting is to make decisions about the logistics of rotating cooking sites for Richmond Food Not Bombs! In the third meeting, we will synthesize the ideas put forward in the previous two and begin making decisions regarding the models, spaces, and logistics of rotational hosting. The results of the Doodle poll made it impossible to include everybody who was interested in attending; in the next meeting those people will be given priority. If you are unable to attend this meeting but have a strong opinion, argument, or idea, please contact any of the event hosts! It looks like the Obama administration is having some problems lining up its allies to attack Syria. But all signs still point to a cruise missile strike, maybe over the Labor Day weekend when people here are distracted. So we’ve decided to go ahead with a protest now, before the bombs fall. The I3ainbridge Collective and the Defenders are asking people to gather at 5 p.m. on Friday, Aug. 30, in front of the Richmond Federal Courthouse, 701 E. Broad St. in downtown Richmond. We’ll have signs that say “U.S. hands off Syria! We need jobs, not war!” And please bring your own signs as well. At 5:30 we’ll start walking west on Broad toward Belvidere, then back to the courthouse for a 6 pm speak-out – an open mic for anyone who’s against the attack and wants to share their thoughts. IF THERE IS AN ACTUAL ATTACK, we will also go ahead with the previous plan to meet the day of the attack at 5 pm, again at the courthouse, which is a main symbol of federal power in the city. Please share this event and invite your friends. This call was initiated by the I3ainbridge Collective and the Defenders for Freedom, Justice & Equality and has been endorsed by the Richmond Peace Education Center, Wayside Center for Popular Education and the Wingnut Anarchist Collective. Note: We all condemn chemical or any other kinds of attacks on civilians, no matter who does it. But, without a shred of evidence, the Obama administration is accusing the Syrian government of being responsible for the chemical attack that reportedly took place in a suburb of the capital, Damascus. Meanwhile, the Syrian opposition, which is dominated by groups affiliated with al-Qaeda, is losing its war against the government and is desperate for the U.S. to intervene. So who would benefit from using chemical weapons, at the very time that U.N. inspectors are in the country looking into previous claims of chemical attacks? And why is the U.S. so desperate to attack BEFORE those inspectors release their findings? It sure looks like the decision to intervene came first, followed by finding an excuse. Just like in Iraq. By the way – Aug. 30 is the 213th anniversary of Gabriel’s Rebellion, right here in Richmond. It’s a very fitting day to take to the streets. Join the Defenders at this march and rally, called by the Richmond Branch NAACP, Urban League of Greater Richmond, A. Philip Randolph Institute and Living the Dream, Inc. Thurs., Sept. 5 – NEW ISSUE OF THE VIRGINIA DEFENDER HITS THE STREETS! The (Late) Summer edition of The Virginia Defender will be out Thursday, Sept. 5. We could use some help in bringing the paper to stores, barber shops, beauty parlors and more. If you have an hour or two to spare, please call 804-644-5834 or email DefendersFJE@hotmail.com. Richmond City Council’s “Slave Trail” Commission is charged with protecting Richmond’s slavery-related sites. Yet it hasn’t spoken out against putting a baseball stadium in in Shockoe Bottom, once the site of the second-largest slave-trading district in the country. It’s also supposed to hold monthly public meetings, but it hasn’t met since June. Its next scheduled meeting is at 4 pm Thursday, Sept. 5, East District Initiative, 700 N. 25th St. in Church Hill. We want to be there to ask the Commission members to take a stand against the stadium. Be prepared for the meeting to be postponed or canceled. The Sandston-based neo-Confederate group Virginia Flaggers has announce plans to unveil a 10′ x 15′ Confederate flag (battle flag of the Army of Northern Virginia – the one preferred by the KKK and other white supremacists) on a 50′ pole overlooking I-95 just south of Richmond. Stay tuned. HAS YOUR ORGANIZATION TAKEN A STAND AGAINST THE STADIUM? If not, please ask them to sign the Online Petition and also to consider releasing a formal statement. Either way, please let us know so we can publicize their stand on the website. And don’t forget to tune in to DefendersLIVE! with your host Ana Edwards every Monday from noon to 12:30 pm on Richmond’s WRIR community radio station – 97.3 FM and online at http://www.wrir.org. We don’t have all of the information or links as of yet, but have just heard that the new City Budget has money for the Monroe Park Renovation Plan. The Monroe Park Renovation Plan – at least in it’s 2010/2011 version, was incredibly problematic and incredibly classist. We are meeting with a City Council person later this week to discuss the current situation and find out what the plan and timeline are. Folks unfamiliar with this issue should take a look at wwwww.monroecampaign.wordpress.comw.monroecampaign.wordpress.com and www.monroeparkoccupation.wordpress.comhttp://www.monroeparkoccupation.wordpress.com and http://richmondiww.org/2010/11/03/455/ to see many articles on why park renovation plans were rejected by a huge coalition in years past. We’ve occupied the park before, and will not allow the park to be shut down to serve the interests of VCU and gentrifiers. If you’ve struggled against the Monroe Park Renovation before, this is your alert to start paying attention and be prepared to get involved and defend the people’s park!!!! Monroe Park Will Stay Open. We Will Win, We Always Do!